And a jet. Who wouldn't want a jet? If you're a fan of the LEGO games, you've likely played for dozens of hours as the main stars of their many licensed universes - Harry Potter, Marvel, Star Wars, etc. However, one of the largest attractions to the series, for me at least, is the chance to play as those oft-forgotten characters. The "Had A Fourteen Issue Comic Run" characters, the "Appears Briefly In The Background Of The Bar Scene" characters. You know the type. 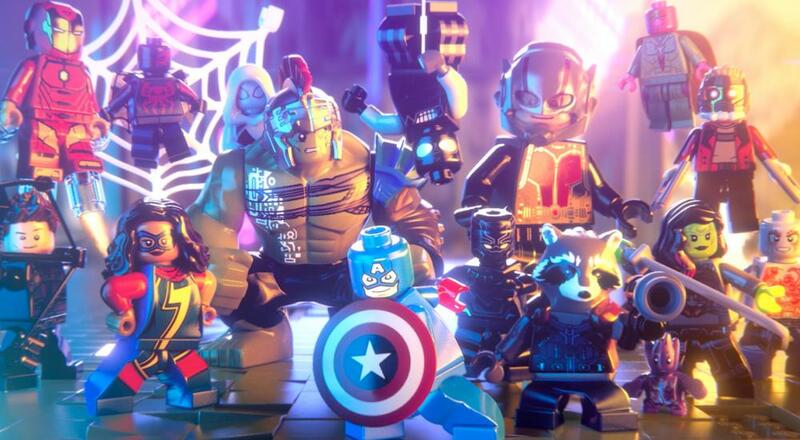 It's in this vein that Traveller's Tales, developer of LEGO Marvel Super Heroes 2, has revealed a few more playable options for their forthcoming sequel. 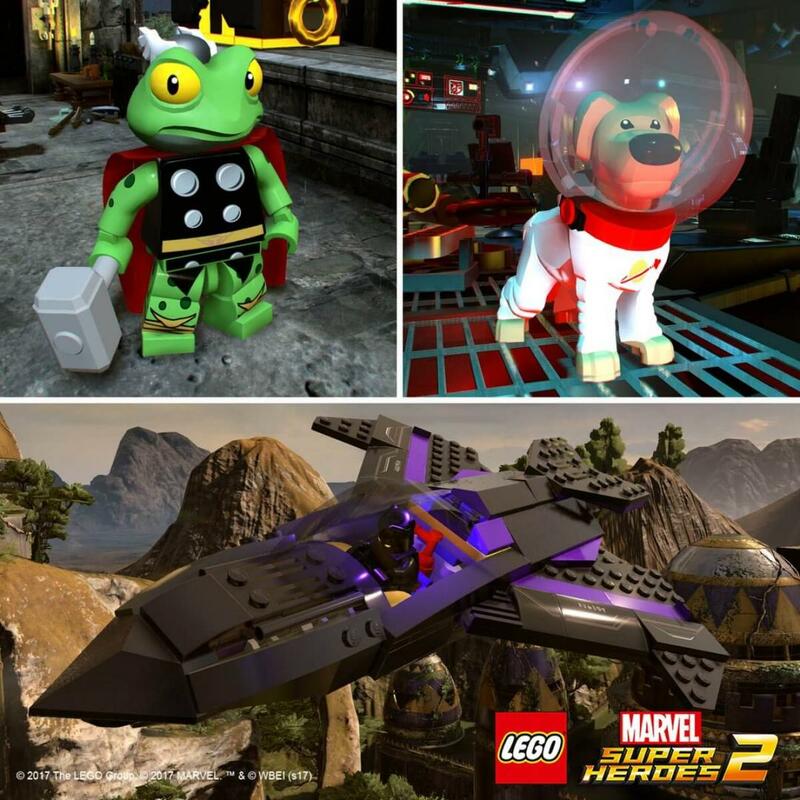 Gaze upon the image below, and you'll see Throg and Cosmo the Spacedog, as well as Black Panther's jet. Both of the characters and the vehicle will be available for your every whim when the game releases on November 14th of this year. As with almost every LEGO game, two player local co-op will be supported. While they've likely never interacted in Marvel canon, you and a buddy can take on the evils of the Marvel universe with Throg and Cosmo, baiting them in with your adorable looks, and then presumably punching their blocks off. We'll try to keep abreast of any further character news as LMSH2 draws closer, so be sure to check back for the latest details. Page created in 0.4489 seconds.